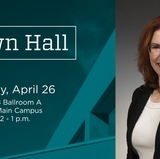 The University of New Mexico joined colleges and universities across the country this week to recognize the student workforce during National Student Employment Week. 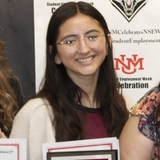 UNM culminated the weeklong event with the announcement of its 2018 Student Employee of the Year award, Sophia Sombrano, Sombrano was among 35 students that were nominated this year. 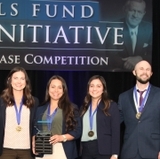 The other finalists included: Maria Concepcion Anchondo, Josh Lane, Kayliss Sanchez, Josh Valenzuela and Micaiah Weiss. 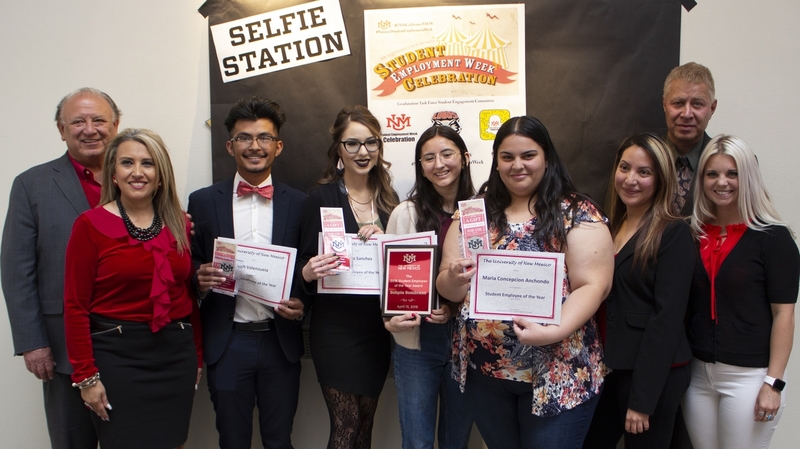 Students employed through the Student Employment Office were nominated for the annual Student Employee of the Year award and to participate in the National Student Employment Week festivities sponsored by UNM's Graduation Task Force Student Engagement Committee. This year's finalists and nominees came from numoerous departments and programs thorughout campus. Sophia Sambrano - Sambrano has worked nine months as a student advanced level office assistant or “face” of the Art & Sciences Dean’s Office as a vital liaison for a variety of visitors, students, staff and faculty. Maria Concepcion Anchondo - Anchondo has worked for two-and-a-half years as the lead educational mentor / tutor for CAMP-El Cento de la Raza. Finalist: Josh Lane - Lane has worked for more than two years as a marketing photographer for University Communications & Marketing (UCAM) assisting in the production and design of promotional content. Finalist : Josh Valenzuela - Valenzuela has worked for 14 months as a marketing assistant for UCAM. Finalist: Micaiah (Kage) Weiss - Weiss has worked for the Computer Science Department for two years as a grader / office assistant. Finalist: Kayliss Sanchez - Sanchez has worked for six months as an office assistant for innovation Academy in the Lobo Rainforest Building. Festivities during the weeklong celebration included a carnival, a summer job and internship fair, and a Student Employee Awards ceremony where UNM recognized its excellent student employees and appreciation for all of their hard work. 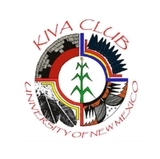 UNM’s NESW was sponsored by the UNM Graduation Task Force Student Engagement Committee, Office of the Provost, Student Union, Division of Enrollment Management, the Division of Equity and Inclusion, and the Division of Student Affairs.